We only had access to Cover Girl and Maybelline at Drugstores when I was getting curious about makeup at 13. And if you’ve tried Maybelline makeup in the mid-90s, you’ll understand when I say the shadows, blushes and lipsticks were absolutely horrid. 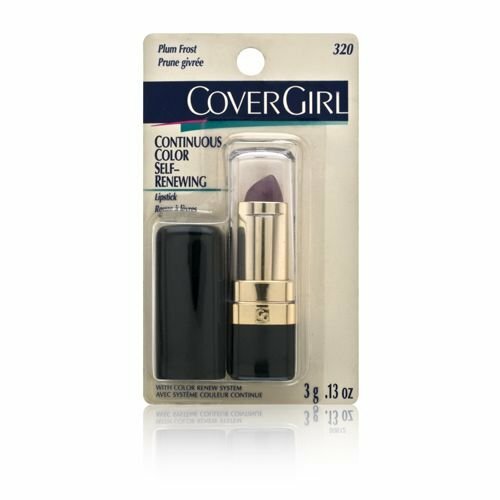 Cover Girl lipsticks, on the other hand, were sooo creamy and had such great color payoff. I remember saving all my money to blow on 2 for 1 Cover Girl Continuous Color Self-Renewing Lipstick offers. When the lady at the cash register asked me one day why I bought so many, I mumbled something about errand runs for others, then ran off home to play with my “Raisin Craze” and “Red to Remember”. The other I remember very clearly was Revlon Colorstay Lipcolor. I used to stare at the ad of Cindy Crawford with her mouth puckered into a deep brick-red kiss. I’d never heard of budge-proof lipsticks at that point. I scrimped, I saved… I sneaked out one day and bought 6 of them at 1 shot, the way a dieter might obsess over food all day and sneak out at night for a massive binge. They were drying, they brought out every line you never knew your lips had, they wore off when you ate, they came in a small range of shades, they cost double what other drugstore lipsticks cost at that point, plus I swear Cindy Crawford (at a shoot) was and still is the only person in the world who didn’t look bad with it on. But I lost sleep over this lipstick. And then of course, I never did wear them out much because Revlon Colorstay lipsticks back in the day did not come in very “wearable” colors for 13 year olds. Those very-expensive (for a teen without an income) black and gold tubes sat in my drawer for years, until they were finally thrown out when I moved. The funny thing is I’m not sure I would wear them even if I had them again now. By today’s standards, these were terrible. And from the quality of Cover Girl lipsticks back in those days and even earlier, I can safely say we already had access to good products, so it wasn’t that we didn’t have a choice. But how’s that for great marketing?